Humans can be a fearful lot. Anxiety is on the rise, studies tell us, especially among college students. Politicians are said to manipulate our fear for the purpose of gaining our votes. The horror genre of books and film is very popular – one in which people pay their own money to conjure the feeling of fear. As proof, the 30th anniversary edition of the movie series Halloween raked in over $75 million in its opening weekend. The rest of our fears are conditioned by experiences or social learning. Fear is generally not considered a desirable emotion; it's mostly unpleasant - unless you love horror movies or scary books. We often grow to fear what we are taught to fear. Many parents consider it quite reasonable to instill fear in a young child of dangerous things, situations, or people in order to make sure they survive. And rightfully so. But many of the fears we have are exaggerated or not real, like fear of people who are different than we are or trying something new. Some fears are the result of the unknown. A noise outside your window at night, a strange figure following behind you on an abandoned street, or the sense of being watched can all be unsettling reminders of the unknowns that cause us fear. Real or imagined, fear can feel the same. In the previous examples, there may be real danger but it may be nothing. Our emotions don’t know and reactions of fear paralysis or hyperanxiety can be activated. We have a “fight or flight” response with physiological changes that can privilege our bodies and limit our ability to think. This makes rational decision-making difficult if not impossible. It can cause people under stress to make bad decisions. So, then, how do we get rid of imagined fear? How do we conquer fear and its ability to impede our normal functioning? Well, like all things, it starts with a real fear of God. It is where true wisdom begins, says Proverbs 9:10. But the wonderful thing about this fear is that it is one that casts out all other fears. We need to be wise enough to fear God, the One who loves us, the One who is love. His perfect love drives out all other fears. We can cast our fears, real or imagined, onto Him and know that we have our fears in perspective. He will love us through the worst of times, even when life doesn’t make sense and suffering occurs. We are free from punishment because Jesus already took our punishment from us. In sum, there are real fears we feel, and they should be heeded to keep us from danger. But we must keep them in perspective. They’re not greater than God’s love for us. And as far as the imagined fear goes, we must have confidence in God’s love for us. 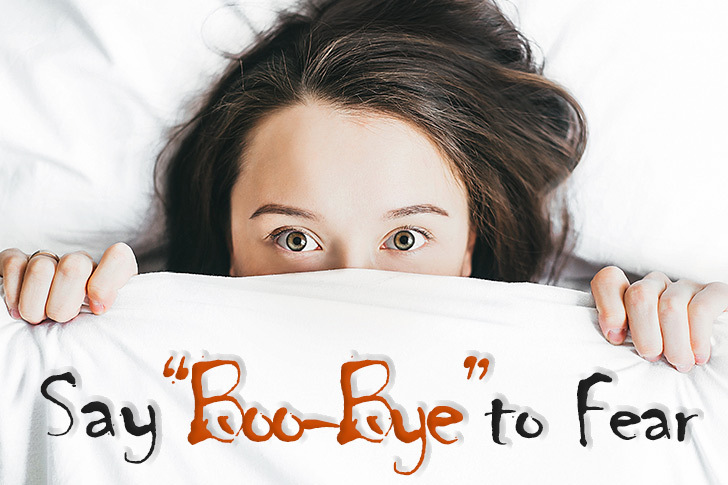 So, even on the scariest days, we can say “boo-bye” to fear and “hallo” to God’s peace and freedom. You can choose the way of freedom from fear and toward God's peace in continuing your education at Geneva College, a Christ-centered academic community that puts the truth of the Holy Bible at the center of everything we do. For more information, contact Admissions at 800-847-8255 or admissions@geneva.edu.